In the past, you may have bought lots of videos from iTunes store and now you change to a PC and want to play iTunes videos on Windows Media Player. However, you find the purchased iTunes movies cannot play on WMP. What's the matter? Why cannot Windows Media Player play iTunes videos? In this article, you will learn why iTunes files cannot be played in Windows Media Player and how to make iTunes media playable in Windows Media Player. 2. iTunes music, video, movie are in unique formats that can't be recognized by Windows Media Player. As you might know, iTunes music is in AAC (DRM'ed .m4p and non-DRM .m4a) format, video and movie are in DRM-protected .m4v or .mov formats, while WMP plays .wma, .mp3 audio and .wmv, .avi ,.mp4 video. Since iTunes music and movies are protected and the file formats are not supported by Windows Media Player, in order to play iTunes files in Windows Media Player, you will need to remove DRM from iTunes movies and music and convert iTunes to Windows Media Player compatible files with an all-in-one DRM removal and video converter. To make the work simple, you can get Aimersoft DRM remover and let it finish the task for you. Remove DRM from video files easily. Rip DRM from audio files with one click. Convert videos to tons of formats. Convert videos for all kinds of devices easily. After downloading, install and launch the DRM converter. The main interface of the software is as below. To make iTunes M4V compatible with Windows Media Player, you can first click Add to import the iTunes protected M4V video files to the program. Or you can just drag-and-drop them to the main window directly. For video files, choose WMV as the output video format and for audio files, select MP3 as the output format. You can also click Setting to set the specific parameter if necessary. Then at the bottom label named Output path, choose a destination folder to save the converted files. When finish the effect presetting, back to the main window and click the Start button lower-right positioned to convert iTunes video movie to Windows Media Player. Time of conversion varies according to the file size, generally a 15 Mb album costs 2-3 mins. After the conversion, you can click Find Target to locate the converted videos files and drag them to Windows Media Player for playback. Tip: If you're looking for a program which can accomplish all the tasks of removing DRM, ripping DVD, converting video & audio formats, burning DVD, creating cellphone ringtone, and syncing media files to Windows Media Player in one-stand way, check this all-in-one Video Converter Ultimate. 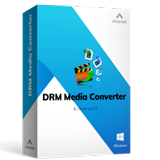 WMV DRM Removal Freeware: This article introduces you 3 best free WMV DRM removal, and also shows you how to remove DRM from WMV legally, so you can enjoy DRM WMV files on any portable device iPhone, iPad, iPod, Zune as your will. 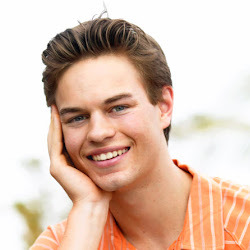 TuneBite Alternative: Aimersoft DRM Media Converter is the best software that can be used as an alternative to Audials Tunebite. FairUse4WM Windows 7: Are you looking for FairUse4WM for Windows 7 alternative? Here we provide the best one for you. iTunes Supported Formats: What file format does iTunes support? This article introduces you the detailed information. Differences between M4A and M4P: Want to know what is M4A and what is M4P, click to read more. Burn CD from iTunes: Here is a step-by-step guide on how to burn a CD from your iTunes library. iTunes to Windows Movie Maker: Have you ever wondered how to add iTunes music to the Windows Movie Maker that you purchased in iTunes? Keep on reading. iPod Media Converter: The simple step-by-step guide teaches you how to remove DRM and convert to iPod with the help of best iPod media converter. DRM Removal Software Review: Are you searching DRM Removal? This article covers the best DRM Removal software to use for legally removing DRM protection from your videos, music, TV shows without losing quality. iTunes to Adobe Premiere Pro: This fast tutorial tells you how to remove iTunes DRM protection and put iTunes files to Adobe Premiere Pro files formats. iTunes to Nexus 10: This article shows you the best way to get music, movies or TV-shows purchased from iTunes to Google Nexus 10 for enjoying anytime and anywhere. iTunes to Galaxy S4: Here we are glad to provide the best method for transferring iTunes files to Samsung Galaxy S4. iTunes to Facebook: Do you want to share iTunes videos and music on Facebook? Just follow this article to convert and upload iTunes files onto Facebook. iTunes to Nexus 7: Here we share you an easy way to transfer DRM-free files and DRM protected files from iTunes to Nexus 7.
iTunes to BlackBerry Curve: Do you know how to download music from iTunes to Blackberry Curve? Don't worry, I can tell you the detailed information. Convert iTunes to WD TV Live: This tutorial is mainly telling you how to convert iTunes M4V movies to AVI, MP4, MOV, and WMV for streaming to WD TV Live. Convert iTunes to HTC One: To play iTunes movies and music on HTC One, you need to remove and convert iTunes protected media files for HTC One. iTunes to PlayStation Vita: This article aims to telling you an easy way to watch iTunes movies on PS Vita with the help of the top DRM removal. iTube Studio can download videos in HD 4K, 1440p, 1080p, etc. from 1,000 + sites, like YouTube, Spotify, Dailymotion, and so on.